THE QPR Extra Time project started in 2009. Currently funded by a Premier League PLPFA grant the project offers a weekly social and physical activity session delivered at Loftus Road to local residents aged 60+. The two-hour session offers activities such as aerobics, salsa, tai chi, croquet and boules as well as relevant health talks from local partners. The group also enjoy social events such as an annual day trip and Christmas Party. We have around 50 members who are aged between 60 and 90, and have a weekly attendance of around 25-30. 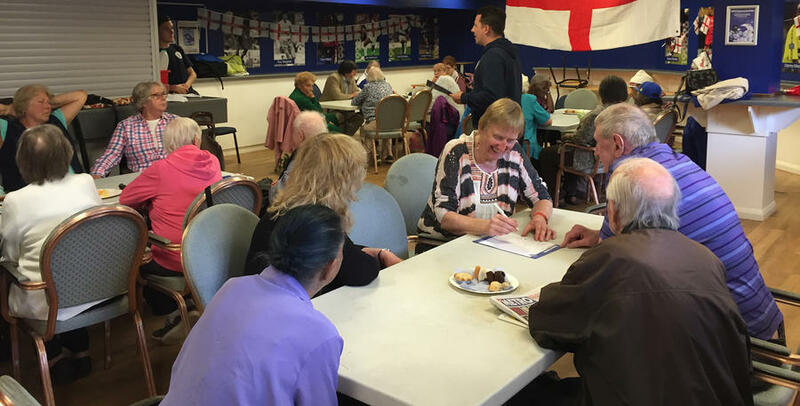 One Extra time participant said: "It is somewhere we can meet and socialise and have fun as well as exercising and learning how to keep healthy, it is something positive to do on a regular basis. I get to meet people I wouldn't have otherwise done without the club." Membership is currently full but if you would like any further information about the project please contact [email protected] or [email protected]. A new over 60s session has started in Brent which runs at the Stonebridge Hub every Thursday from 10.15am to 12.15pm. The Hub Social Club, funded by a Hyde Charitable Trust grant, is run very similarly to Extra Time and there are spaces available. If you are interested in joining this club please contact Sinead Friel via [email protected].